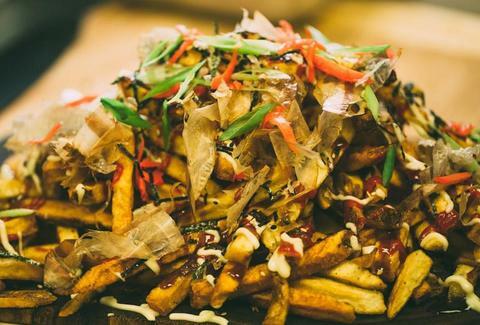 These fries, conveniently located at a restaurant you need to try now, may not be easy to pronounce, but they’re unlike any spuds in town because they're topped with three sauces, bonito flakes, sesame seeds, and more. So good, they're almost worth learning how to pronounce "okonomiyaki." 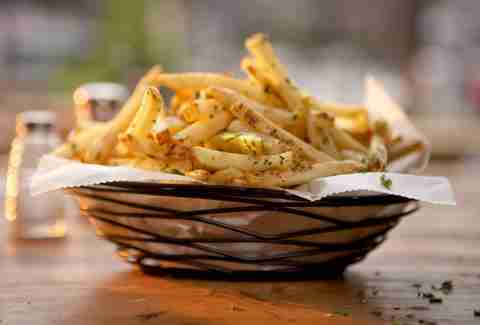 You come to Ford Fry’s first restaurant for "Angry" Mussels or Sunday Supper, but then you smell an order of the Truffle-Parmesan Fries going by. Do the right thing. Does it come as a surprise that one of the best cocktail bars in the country offers a way to soak up said best cocktails in the country? 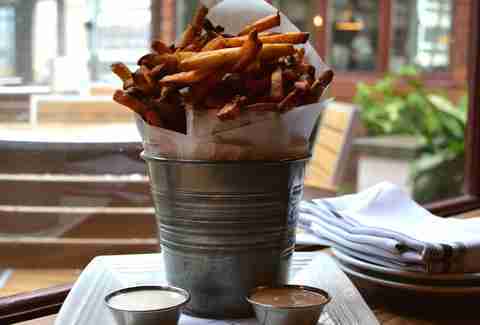 Heck, these pub frites, served with sauces like smoked tomato mayonnaise and goat cheese fondue make Leon’s a destination even without the drinks. 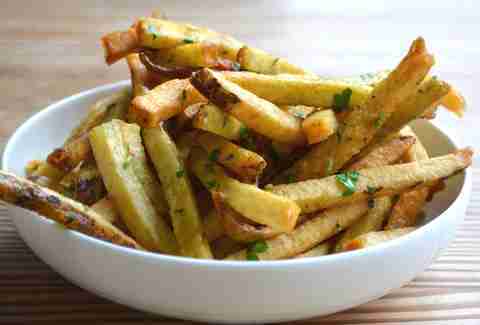 Chef Todd Ginsberg knows his way around fried potatoes: he created three of the recipes listed here. Bocado’s fries, tossed in butter, garlic, and herbs, were his firstborn, and alongside the epic Double Stack Burger, they hold their own just fine. The lines at Krog Street Market’s sandwich darling may be daunting, but they’re worth braving for these thick-cut, spiced fries and harissa mayo. 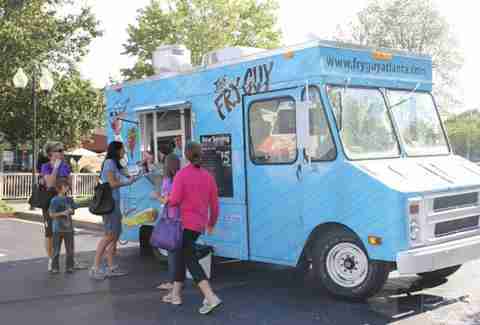 Jobe, The Fry Guy, only makes one thing: chicken. Psych! 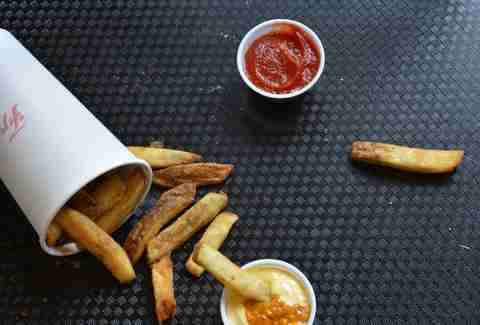 Try the cone of fries with a unique sauce like malt aioli next time you see him at a festival. 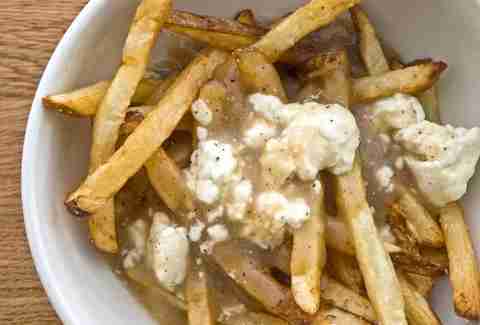 What do you get when you combine duck fat fries, local cheese curds, and gravy? The best thing ever to be inspired by Canada since... um, ever? Noni’s, like any respectable hipster institution, wears two hats: that of an Italian-inspired deli and that of a PBR-fueled nightclub. 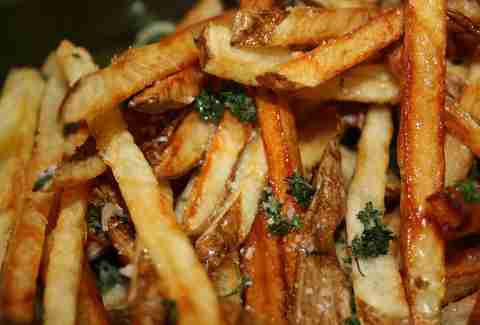 We’re sending you there for the piles of garlicky Parmesan fries, but the dance parties are okay too. 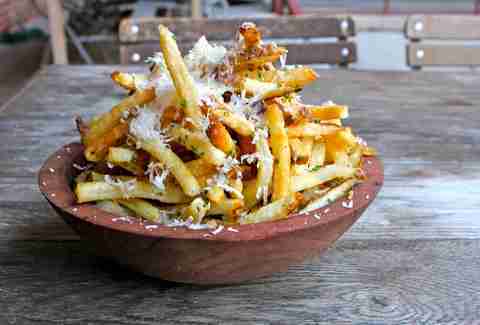 You’ll never guess what the Belgian fries pair well with at this beer bar. No, really: they suggest Lagunitas Dogtown Pale Ale, because they pair beers with Every. Menu. Item. 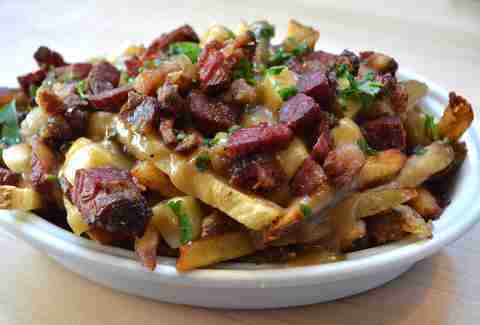 The poutine at this Jewish deli ain’t kosher... err, maybe it is, how should we know? What we do know is that it combines crispy fries, gravy, cheddar cheese curds, and fried house-made pastrami, and is totally delicious. 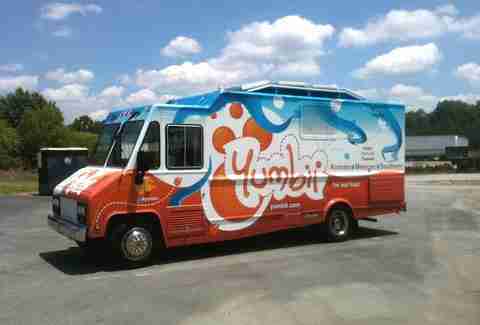 What makes the fries at Atlanta’s OG food truck “far out food?” Well, they’re round. But also, they’re topped with sesame, soy, and chili, plus they're accompanied by chipotle ketchup. Far out, man.